Ricardo Betancourt who will be bringing guest speaker, Axel Kaiser, to next week's meeting, gave a preview of Dr. Kaiser's accomplishments as Executive Director of the Fundación para el Progreso, one of the most influential Think Tanks in Latin America. Be sure not to miss this young Chilean attorney give his analysis of the current economic/fiscal crisis our island has faced. 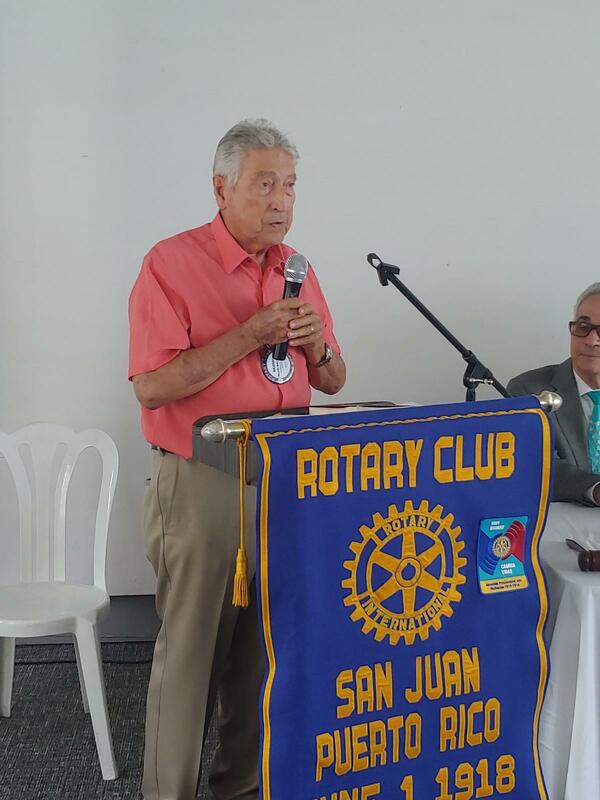 Rotarian Ricardo also urged the audience to increase our membership by reaching out to Law 20-22 residents of Puerto Rico.